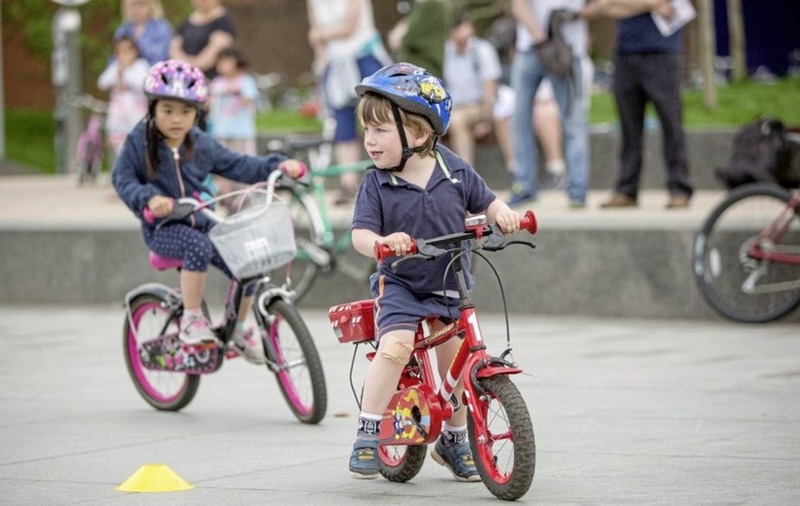 Kids will be able to try riding Balance Bikes at CS Lewis Square with Sustrans cycle training from July 17 to August 21. CYCLING and walking charity Sustrans has a new project this summer which aims to get both seniors and youngsters rolling on two wheels. The training sessions for children aged from as young as two will use balance bikes – which look like normal bikes without pedals. Research has shown that children who start learning on a balance bike progress much quicker to riding a pedal bike than learning with stabilisers. 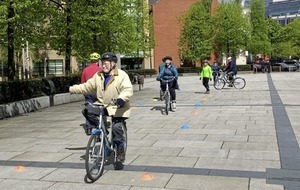 On the other end of the spectrum, sessions will be offered to older people using ordinary bikes and eBikes which offer additional support for people who haven’t been physically active. The free sessions, funded by the Active Belfast Partnership, will take place at CS Lewis Square at Holywood Arches in east Belfast throughout the summer from July 17 to August 21. The venue was chosen because it is at the intersection of two greenways – the Connswater and Comber Greenway – where beginner cyclists can gain confidence off-road and in a safe public space. Sustrans Cycle Skills Co-ordinator, Karen Mawhinney described it as a great opportunity to get young and seniors engaged in cycling. “We are delighted to get the Active Belfast grant to deliver these cycle training sessions which will get everyone from toddlers to grandparents on their bikes in no time. Sustrans will be working in partnership with East Belfast Sure Start, Bloomfield Community Association and Connswater Community Greenway to deliver the ‘Balance for All’ project. Sustrans is also developing an Active Travel Hub at C.S. Lewis Square which will be on site later this summer and will encourage more walking and cycling in the area. For more information and to register go to Sustrans.org.uk/events or email Belfast@sustrans.org.uk or Tel: 028 9043 4569.